When Ben half-jokingly mentioned that Star Wars Celebration would be in London a year and a half ago, I quite seriously made him by the tickets. A city I've always wanted to visit coupled with a bucket-list Convention to attend? It was a done deal. We just had to wait. A year. 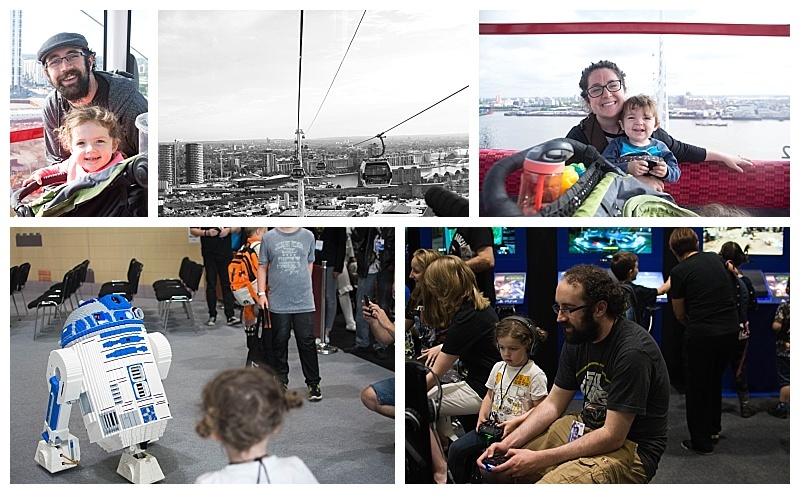 We bought the three day pass, like any devoted family would and really did make the most of it. 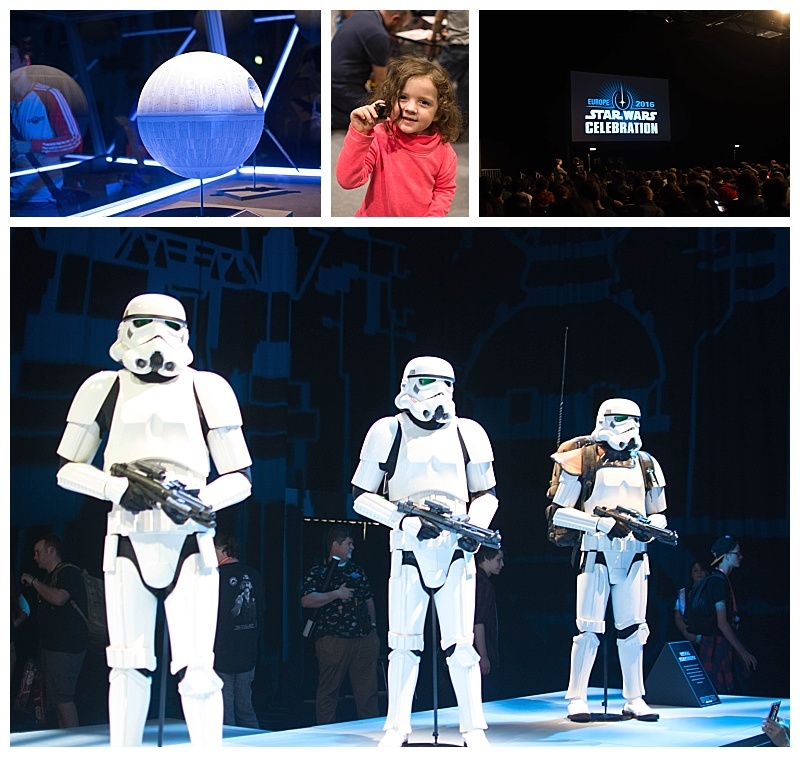 While we weren't able to queue up all night like some in order to see Mark Hammill and other celebrities, we made the most of every other creature that walked through the arena. As luck would have it, in our very last moments there, we even glimpsed Mr. Luke Skywalker himself doing autographs. It was a gift from the heavens, really. One surprisingly cool accidental find was an area that had little Star War drones. They plan on selling them for Christmas this year and were doing demonstrations in order to hook-in potential buyers. 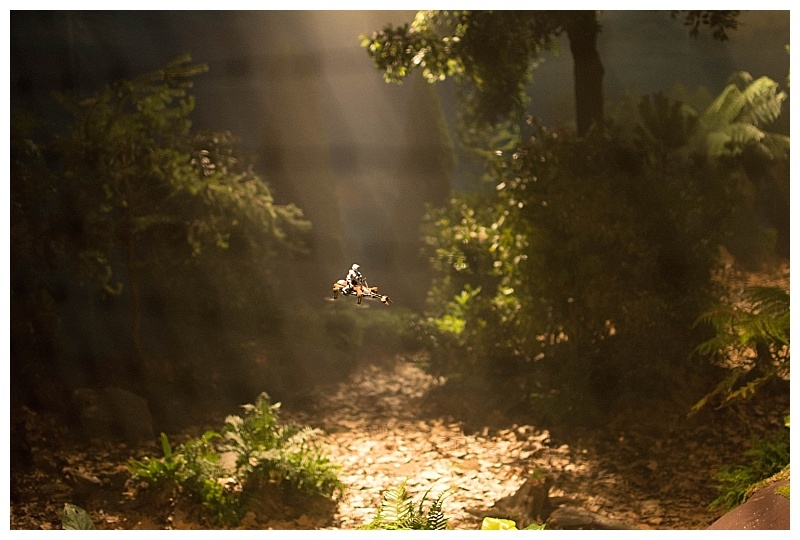 We saw this dark area and thought it would be a quieter place for our introverted selves, just to find these fun little drones flying around in themed areas. Elias and Eowyn were quite mesmerized. The first day was honestly, kind of hard. That's how things go with families. Until you know what to expect, you go in blindly. We always call the first day the 'throw away' day. We aim low-and just see what happens. The second and third day were quite fun. We had just enough socialization to wear us out, and plenty of fun pictures with fellow star wars fans. Plus we got the merch. And the exclusive loth cats are being well cared for by our Eowyn. We can actually say we've "been there, bought the t-shirt." Another fun little bit of going to the celebration was our mode of transportation. We had our Airbnb close to the O2, and near the 02 are cable cars going to and from the Excel. We were able to use our Oyster card and the time proved to be about the same as riding the underground. However, it was much more fun. We were able to sit in our own little cable car each time, which definitely beats the crammed-in undergrounds. Eowyn was excited every time we pulled up to those little pods. I was a little worried Eowyn might grow afraid of some of the creatures that were at the celebration. I waited, eyeing her every time I saw someone that was a bit more scary-looking. She somehow had a good grasp that it was just people playing pretend. As soon as we told her it was her job to get as many pictures as she could with the characters, Eowyn was ALL ABOUT IT. Seriously, she was committed. Girl is BOLD when she's on a mission. Just imagine how fun it will be when our kids are old enough to appreciate the movies! And now they're working on making books that are tailored even to the youngest readers. I see a whole lot of fandom coming forth from this family. 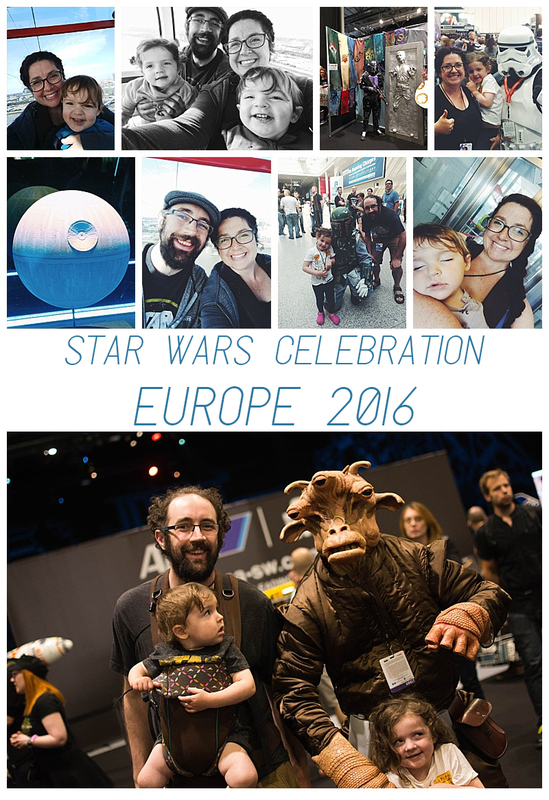 SWCE, you were great fun.